In early 2017 Instant Pot release the new and improved 9 in 1 DUO Plus. It’s an upgrade to the popular DUO line of electric pressure cookers and increases the model from a 7-in-1 multi-cooker to a 9-in-1. How does the Instant Pot DUO electric pressure cookers compare to the DUO PLUS? The basic specifications of the cookers are the same. The biggest difference is the 2 extra programs that come together on the DUO Plus, one being double (cake and egg program) and the addition of the new Sterilize mode, it also features an updated control panel with its LCD screen. The IP-DUO models do not have the Cake, Egg and Sterilize programs. Also, the Duo Plus does not have an adjust key: you can simply keep pressing the program button to choose between the less, normal or more settings. In the beginning, only the Duo came in multiple sizes but now both models are available in three pot sizes: 3-quart, 6-quart, and 8-quart. The DUO Plus (9 in 1) appear as an upgraded version of the DUO model (7 in 1), featuring almost all the same functions as the 7 in 1 model plus 2 new functions the Cage/Egg function plus the Sterilize mode. They also have in mind a lot of the concerns and requirements of users from older models trying to get the most full-featured pressure cooker on the market. The three new programmed buttons as we mentioned before are the cake, egg, and sterilization functions. The Sterilization is more of a function rather than a cooking mode. The main use is to sterilize your utensils or possibly pasteurize milk. With the Sterilize mode, the company states that you can use for certain types of canning as well but have in mind that all low acid pressure canning should be only done in larger stovetop pots for safety reasons. Another big difference is the display panel. The control panel that comes in the 9 in 1 model is larger and is a little bit easier to use. There are of course new buttons for the preset cooking functions and sterilization mode and the screen itself is easier to read and comes with a few new icons to make it easier to see extra information about the current cooking mode or cycle. It will look a lot like the IP-Smart screen. Other features of the DUO Plus which are different from the regular DUO models is that they now give you the opportunity to change the cooking mid-cycle. For instance, you can go from high to low-pressure mid-cycle or even switch cooking modes altogether at any point in the cooking process. In addition to this model, Instant Pot release the Ultra pressure cooker, that includes even more benefits like being able to cook in sous-vide mode or fine-tune the cooking time, pressure, and temperature and even adjust for altitude. Great additions to get the most complete multi-function cooker. 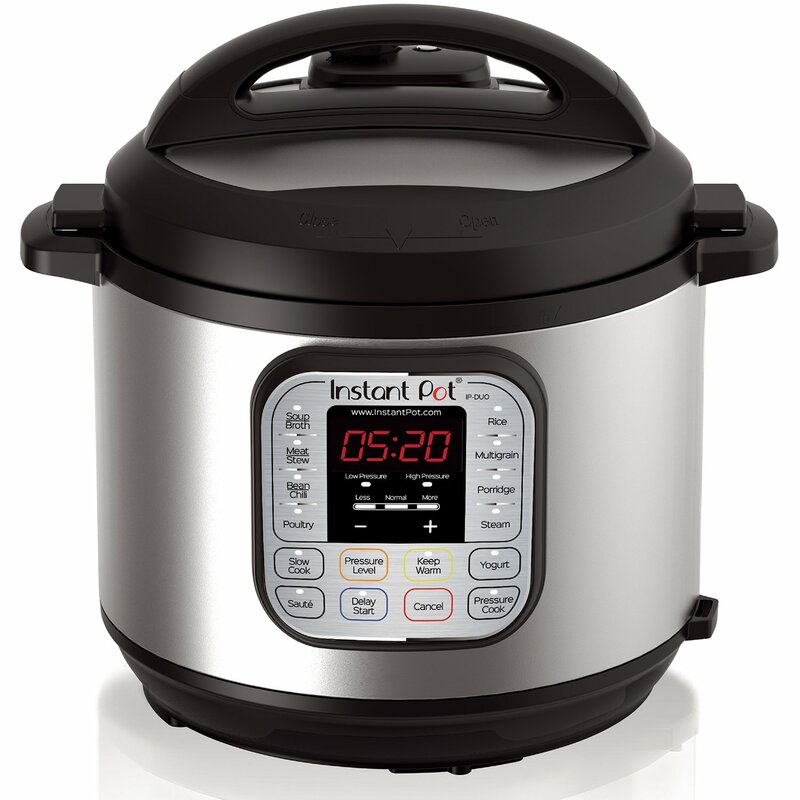 To learn more check out review of the Instant Pot Ultra here. Is the Instant Pot IP-DUO Plus Better or Worth it? Of course, all of the features that make the bestseller DUO model worth buying are still there. You still get the trusted name brand and all the cooking modes that make Instant Pot so special. Yogurt making and multiple PSI settings are still the main upgrades from the LUX version to the DUO model but a cool addition that comes with the DUO Plus model is the 2 new functions that give you the ability to cook cake, egg and sterilize your utensils, plus the improvement of the control panel is going to be a game changer for lots of people who just don’t understand the screen on older models. The bigger screen, for instance, makes it much easier to read and the buttons make a little bit more sense for either choosing pre-programmed functions or for manually setting the PSI and cooking duration. For some people and more first time users, the manual controls can be a little tricky to understand. With the 9 in 1 model, the manual control will be more intuitive. 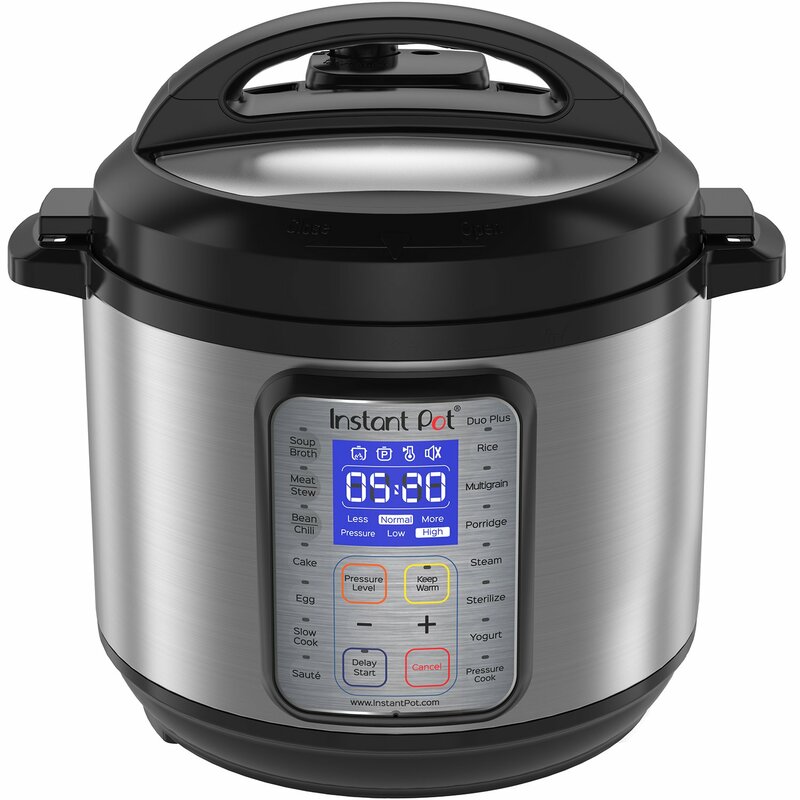 The Best Seller and beloved 6-quart IP-DUO60 is a 7-in-1 multifunctional countertop appliance, that is not only a pressure cooker but is at the same time a slow cooker, steamer, rice cooker, warmer, yogurt maker, and saute/browning functionality. The DUO pressure cooker is a smart Electric Pressure Cooker created to be Convenient and Safe. It speeds up the cooking process by 2 to 6 times and spending up to 70% less energy. Featuring 14 Smart Built-in programs ranging from soup to poultry to porridge. The appliance is able to pressure cook at high or low pressures, allowing you to cook food very quickly or avoid overcooking delicate foods. It has the ability to choose between 3 different temperatures for slow cook and saute, and it also features an automatic keep warm function. 14 Smart Programs – Soup/Broth, Meat/Stew, Bean/Chili, Poultry, Sauté/Simmer, Rice, Multigrain, Porridge, Steam, Slow Cook, Keep Warm, Yogurt, Manual, and Pressure Cook. Exterior, brushed stainless steel, finger print resistant, with lid holder for left and right-handed users, removable cord. Accessories include stainless steel steam rack with handles, rice paddle, soup spoon, measuring cup, condensation collector and recipe booklet. The cooking pot, lid and steam rack are dishwasher safe. The DUO Plus appear on the market as an upgrade of the DUO model that as we said at the beginning is one of the best sellers from the Instant pot family. 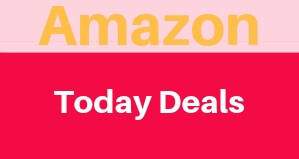 Is a bit higher on price (+$30) when compared to the DUO version, but it makes up for that with some additional features. 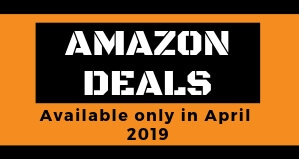 The Duo Plus 9-In-1 Programmable kitchen appliance with advanced microprocessor technology incorporates all of the great features that made the Duo the #1 best seller. It comes with new and improved programs like the Cake, Egg, and Sterilize programs. The Cake program has been designed to pressure cook soft and moist cakes; whereas, the Egg program has been created to prepare perfect eggs in just a few minutes. Using the Sterilize program you can pasteurize milk, as well sterilize utensils, jars and baby bottles!. You can also perform certain types of canning in a more efficient way. The alarm clock aesthetic of the display has been upgraded to a blue LCD screen, that will also display icons that will show you the selected settings. As another tiny upgrade, the inner bowl also shows you a more comprehensive max/min fill lines. UL & UCL certification with 10 proven safety mechanisms gives you peace of mind. Highly Energy efficient, this kitchen friendly cooker Emits no steam when cooking, contains all smells and automates your cooking. 15 built-in programs: beans and chilis, cake, eggs, meats and stews, multigrain, porridge, rice, soups and broths, yogurt, slow cooking, sautéing and searing, steaming, sterilizing, keep warm, and (of course) pressure cooking.